It’s October, the start of the Fall season and the rapid arrival of Holiday 2014. Although if my inbox is any indication, Holiday 2014 started a few weeks ago with a steady stream of emails signaling the kickoff of what retailers hope is a busy holiday sales season. Marketers hope so, too. We’re still three weeks away from Halloween and decor and costumes are already deeply discounted to make room for every holiday item imaginable. If a recent U.S. News & World Report story is any indication, it will be a prosperous year for products and brands with major players like Wal-Mart, UPS and FedEx reporting sharp increases in holiday hiring (always a good indicator of a positive sales forecast). Just today I received three “Best Holiday Toys of 2014” emails. As a marketer, I had to open them, of course. What I found interesting so far is that only one toy appeared on more than one list. I can only presume that that brand had the budget to spend money with the sponsors of the lists. Short of purchasing sponsored placements on consumer-targeted emails, what can companies do today to guarantee success tomorrow and throughout the shopping season? I’ve taken the liberty to put together a few suggestions. 1) Pinterest– Millennial moms are very visual shoppers. They are also creative seekers. These shoppers want their holiday gifts to be original and pack a “wow” for the recipient. Create themes around your product and have social media moms join you in pinning images – with links – to your product page. 2) Video– Use videos to explain the problems your product helps to solve for busy moms. For instance, if you are a lawn mower company, post videos titled “How To Cut Your Lawn in Less Than an Hour”. Moms shop solutions as much as they do products. 3) Check out Etsy – It’s amazing for really creative and original ideas. Perhaps there’s a crafter out there using your product in ways that you never intended, but she is selling a lot of product. These clever women (and men) can be a resource for online content on your site that keeps your visitors there for a few extra seconds. 4) Good ol’ fashion email – So many marketers forget about e-news or promotional emails because they are chasing the silver bullet. Well, guess what? There’s no silver bullet. There are just well thought out, integrated mom marketing efforts that lead to success. 5) Coupons – Moms love a good deal, however, she’s smart. Don’t tease her with a $1 off coupon on a $50 gift. And by the way, she expects FREE SHIPPING. It’s the point of entry in 2014. 6) Expect More Cause-Related Gifting – Moms are a compassionate group and you can expect that they will want to support charitable organizations, from our troops wherever they are on the ground to food banks for the homeless. A partnership with a charity (or better yet, a choice of charities) that allows donations at checkout will appeal to a mom’s desire to give back to her community. 7) Instagram. If your target market is between the ages of 13 and 55, you can be assured your market is on Instagram. And when they aren’t on Instagram, they are on SnapChat. Keep these social media platforms in mind. You can use hashtags just as you do on Twitter. If the upward trend in holiday sales continues (up 3.8% in 2013 to just over $600 billion* and an online increase of 10% to $46.5 billion**), Holiday 2014 will be a profitable season. It’s critical for marketers to meet moms where they shop, both in stores and online, using integrated strategies (see above) to attract moms’ holiday dollars. The estimated 20% of annual revenue covered in the few short weeks of the holiday season, coupled with positive economic forecasts should mean big business for brands. 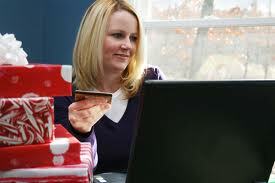 It’s not too late to get your holiday marketing plan in place, particularly with social media strategies. You’ll be singing a happy tune on January 1st.